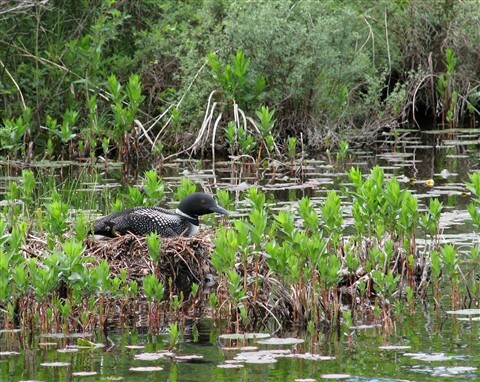 Female loon awaits in silence for her eggs to hatch. They did 24 hours later, and she now has two beautiful chicks that she is feeding. 30 days she spent on the nest awaiting their arrival.